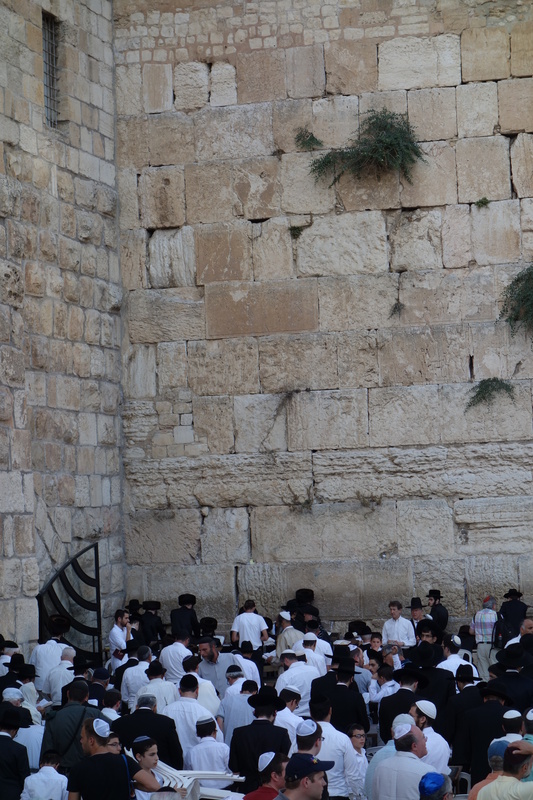 I visited the Western Wall a few Fridays ago, just in time for the start of the Jewish Sabbath at sundown. I expected to see Orthodox Jews in traditional garb praying there, and I did. But I saw more than that. I saw non-Orthodox Jews, heads bowed, trembling hands on the wall, tears running down their faces. And among the prayerful were thousands of Jews singing and dancing to traditional music. Imagine a Jewish wedding reception — a really big one. And there was more than just Jews. Understand that hours after the United Nations created Israel in 1948, four surrounding countries simultaneously attacked it. Israel survived the attack, but its attackers killed or expelled all Jews from the Old City of Jerusalem. For years thereafter, the occupiers of the Old City literally used the Jewish Quarter for mortar practice. Of 35 houses of Jewish worship there, 34 were obliterated. The Western Wall was routinely spat upon, and worse. The ongoing destruction, banishment and desecration continued until the Six Day War in 1967. In those six days, Israel crushed its enemies, established protectable borders and reclaimed the Old City and the Western Wall. Since then, the Israelis have welcomed all faiths to the Old City. In fact, two-thirds of the residents are Muslim. Their Dome of the Rock built next to the Western Wall and over the site of the first and second Jewish temples was left in their hands. Likewise, the traditional site of Christ’s tomb, the Church of the Holy Sepulcher, is in Christian hands. And so among the singing, dancing and praying Jews on that Sabbath evening a few Fridays ago were singing, dancing and praying Christians, Arabs, Asians and Africans. They invite everyone, 24 hours a day, seven days a week. They loaned me a yarmulke (they ask only that you cover your head), saw me silently pray at their wall and invited me into their celebration. One of them named Goldberg joked that my Scottish name sounds vaguely Jewish if only I would spell it B-E-I-T-O-N. I told him his Jewish name sounds vaguely Scottish if only he would spell it M-A-C-D-O-N-A-L-D.
Several were friends of three Israeli teenagers who’d disappeared a week earlier. We didn’t know it at the time, but terrorists had already kidnapped them, murdered them and dumped their bodies. Which brings up one other thing that struck me that Friday evening. Some of the praying, singing and dancing men and women were Israeli soldiers. I’ve done a lot of things, but never before had I danced in a circle with my arms around the muscular shoulders of young Jewish men wearing yarmulkes, combat boots, fatigues and automatic weapons. That we were of different faiths was the least-strange thing in the picture. The Israeli soldiers were necessary because their wall is a target of terrorists, just as their children are. The mortars are gone from the Old City, but the suicide bombers are not. All of this praying, singing and dancing — all of this freedom — comes at a price. Surrounded by psychopathic child-killers and totalitarian madmen vowing a second Holocaust, the people of Israel pay the price for freedom. And in the shadow of the remaining fragment of their twice-destroyed temple, they invite the world to join them in celebrating that freedom. This entry was posted in Uncategorized and tagged Israel, Palestinians, Wesern Wall by onthebeatontrack. Bookmark the permalink.